Dense Forest & Ghosts Circling | Are You Brave Enough to Visit Malcha Mahal? You may have heard rumours about it already. Many of you may also have heard stories rivalling horror movies about this place but the fact is that most of us are not likely to ever really have a close look at this building! 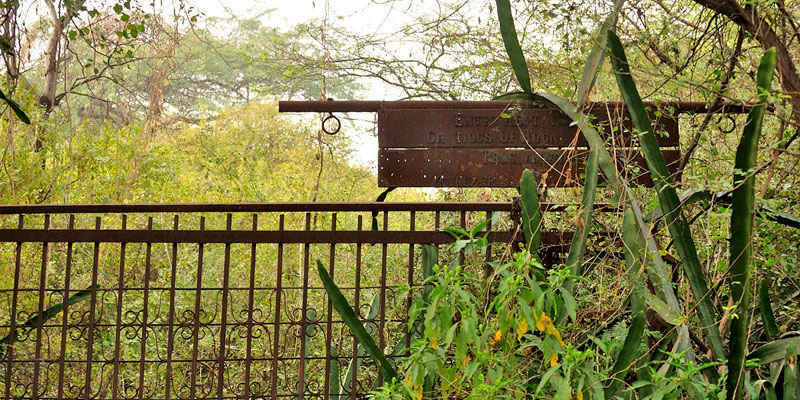 This is what adds to the enigma of Malcha Mahal and by merely being near the place amidst the dense forest, you can experience that eerie feeling you may never expect in a city like Delhi! The Malcha Mahal was called so because it is located in a village called Malcha. 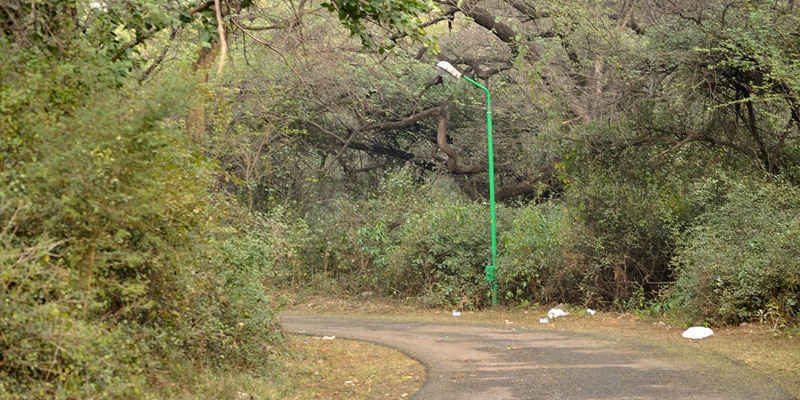 Of course the entire area has now been engulfed by the sprawling metropolis of Delhi, but still the area has been able to maintain its secluded nature thanks to the fact that the forest around it is a protected area that forms the Delhi Ridge. Now, the Mahal was originally a Tughlaq era hunting lodge but the real story started when it was given to the last few descendants of the once prosperous royal family of Oudh. 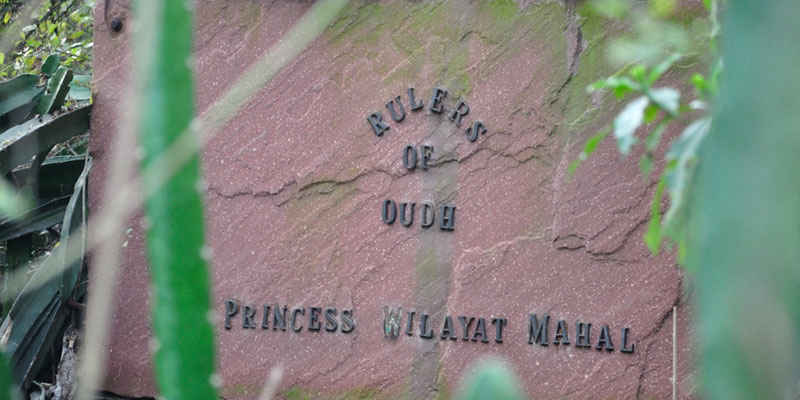 The last ruler of this dynasty was the famous Wajid Ali Shah, and one of his descendants, Princess Wilayat Mahal was finding it hard to hold on to her ancestral property after India’s independence and after a bitter struggle, the government apparently allotted Malcha Mahal to her in order to assuage her instead of returning her actual estate. She and her other relatives never recovered from this and she committed suicide, that too by drinking ground-up diamond according to rumours, in 1993! Wow! The next generation still lives there in obscurity but they are reclusive and are not exactly welcome to curious visitors. If you ask local people such as the ones working in the Delhi Earth Station located nearby, they will tell you two things. Firstly, they don’t know much about the mysterious inhabitants of the Mahal and secondly they will warn you to be careful about photography as the inhabitants are known to threaten unwanted visitors with guns or even worse, releasing their hounds on you! Due to the apathy of the government and subsequent series of misfortunes, they have become quite wary of outsiders and their dogs seem to be the only loyal companions left with them. Malcha Mahal is located inside the jungles of Delhi Ridge, just by the side of the Delhi Earth Station. You can reach it first by locating the narrow lane that leads to the jungle from the Sardar Patel Marg. You have to keep walking through a narrow road called Bistdari Road through the forest passing by the Mazaar of Baba Moluddin Chisti to reach Malcha Mahal. It’s not exactly a tourist destination and you are not likely to get inside the compound. But you can still take a walk through the serene jungle and ponder over the strange and somewhat puzzling existence of those who reside here. Up for a quick adventure?